Dollar cost averaging index investing is the most frequently one-size-fits all strategy suggested by personal finance bloggers. There are many reasons. It is easy to follow. It promotes discipline. It is supported by Nobel Prize winners(*). And perhaps most conveniently, everybody else supports it, so you don’t have to think about justifying it further(**). (*) Pop-quiz: Name a couple of Nobel prize winners whose fund failed resulting in systemic problems that had to be bailed out. I have questioned this collective wisdomherd behavior behind index investing before (here, here, and here). The problem is that index investing basically attempts to free-ride on institutional, mutual, and pension funds (larger drivers of the equity market) which naturally have their own agendas. There is a problem in perception as well. Anyone who buy stocks often fancy themselves investors,. Yet buying regularly with no concept of valuation is not investing anymore than sitting in your car while making engine sounds with your voice is driving. Such “investing” is simply saving. In that sense dollar cost averaging maybe be considered a form of saving denominated in the productive capacity of the country rather than in its currency, where the currency is nothing but a claim on its production. In other words, the choice is simply made in terms of saving in future products or future productive factors. This savings-over-investments mentality creates a demographic problem. The boomer generation certainly supported the run up in stocks their most productive years in the 1980s and 1990s. Now, their retirement turns the previous tailwind into a headwind as they all pull their money out of the market about as fast as they put it in. I commend either way. Savings is good! But don’t call it what it is not. Investing is the process of spending savings to purchase something of value to increase future returns. For individuals, this is not done by buying a broad basket whether it be productive factors or products. It is not done by buying at any price. What kind of deal is that anyway, say, going into a supermarket and buying a bit of everything in proportion to what everybody else is buying. Is that a deal? Think about it. Who benefits if the mass of people follows this advice? Yup, that’s right, the supermarket, not you. That is a long run indeed. So, you may argue that these periods have been selected. Of course they have. You can however find other periods at later times, even recent in your lifetime, that span decades. A span comparable to a normal person’s “investment career”. But what about dollar cost averaging? Dollar cost averaging is a sword that cuts both ways. If you DCA in a market that first goes down and then goes up again to close at the starting price, you benefitted. If you DCA in a market that first goes up and then goes down again to close at the starting price, you lost. Dollar cost averaging is not supplying any free lunch to anyone. It only spreads risk equitably. Consider that there are probably a comparable number of people dollar cost averaging out of the market, namely those retiring who need a certain amount each month. Why would one group benefit from another(*)? (*) If they did in any predictable fashion there would have been someone to arbitrage this gain out already. In conclusion: DCA, buy and hold, and index investing are all good, but they are not a silver bullet. They are going to make you richer than your peers if you stick to them, but it is not due to their superior strategic virtues. Rather it is due to the discipline which you have and others do not. If you want to produce superior returns, you have to provide some kind of value. If you have buy shares when they are cheap and sell when they are expensive (trivial in theory, hard in practice). You have to provide liquidity when the market is starved and accept liquidity when nobody wants it. You have to take risk, when everybody is risk averse and be afraid when everybody is complacent. TANSTAAFL! Much thanks goes to DK for contributing to the “coffee fund”! previous post: Does money only exist to be spent? 31 users responded in " The death of buy and hold? " Well buying and holding index funds works out for most people who can stick to the strategy. Of course the most interesting part is that index funds keep outperforming active funds.. I do agree with you that blindly putting $100/month during ups and downs in the markets might not be the best way to go; on the other hand however waiting for the perfect opportunity to invest might result in you missing huge gains and then buying at the top.. If you thought stocks were overvalued in 1996-1997 and you switched to fixed income from stocks you would have done very well and outperformed the markets in terms of total returns. Your emotional ride wouldn’t have been as smooth however, as stocks would have doubled in value, then fallen by 50%, then doubled again, then fallen by 50%.. You would have felt as an idiot, smartest person alive, idiot, smartest person alive..
@DGI – I think the “index funds keep outperforming active funds” should be qualified (uh oh, I see a post coming up): Index funds are better than the average of active funds is closer to the truth. It’s no surprise really, since the “sum of all funds” which creates the “average behavior of funds” makes up most of the market. Trivial almost. Index investing seems to be like driving, while looking in a rear-view mirror. You are buying in proportion to what had the most money flows the previous year. While this makes sense on some level, its also vulnerable to popular sentiment and bubbles. Tech stocks dominated in the late 1990s, and so indexers were buying tons of Yahoo, AOL, and other “its different this time” stocks, that ended up plunging when the dot.com bubble popped. Unfortunatley, stock investing has been a necessary evil, to hedge inflation. In a perfect world, we could save our dollars that we earn from wages, and press on to more important things in life. Instead, many layman investors are forced to burn alot of time following finance, and reading Money magazines, etc. so they don’t get whacked by inflation (stealth tax). I look at index investing as the approach with the highest return/knowledge ratio largely because the denominator is so small. I love your statement that “Investing is the process of spending savings to purchase something of value to increase future returns”. I’ve never thought of investing as spending before. I hope in the next few years to become educated enough about value investing, or whatever you call your approach, to be able to outperform the market. In the meantime, it seems I either have to trust the advice of others on what is good to buy or to take the approach of DCA and some mixture of index funds. I haven’t analyzed my earlier retirement funds and their performance, but it is easy to look at the last 4 yr. I have maxed my contributions to my SEP IRA, making the contributions when the money is available and not trying to time the market. The value of that investment (in a Vanguard target retirement fund) as of October 31 was 24% less than the amount I contributed. Obviously, I would have been better off putting the money in a money market account and earning whatever piddly interest they pay; however, who knows what will happen to the money I invest over the next 4 yr? If things are truly cheap now, then I will outperform the money market and possibly even recoup the losses from the last 4 yr. Awesome post – the last paragraph is probably the best, most no-nonsense investment advice I’ve read on a blog. When is your investment book coming out? I want an autographed copy. 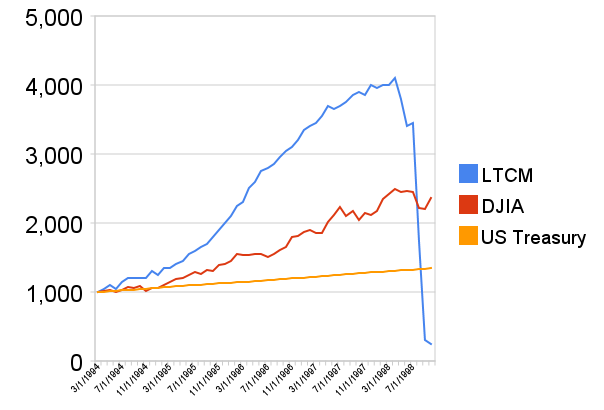 Very interesting link regarding the long term returns. I thought there was a ~26 year flat market in the USA (1926 ~ 1952 or so), why doesn’t show that show up? Maybe there was deflation? Also I’m surprised that Japan (over the past ~25 years) doesn’t show up when adjusted for inflation. I assume that, barring investment in my own business, most of my investments will do little beyond keeping up with inflation. I calculate my future income needs based upon 2008 dollars and make my savings targets based upon 2008 dollars, whether they are 5 years out, 10 years out, or 30 years out. I agree with your statement: the reason DCA or index investing would make you successful is primarily your discipline in continuously investing. It has nothing to do with the index of stocks as an investment. Logically, the index is only going to increase at about the rate of inflation, unless an equity asset bubble is going on. Now that we had a huge one of those, and it popped and is still deflating, we will have a generation of people who will not be looking to equities as some manna from heaven. I suspect the overall market will do little more than keep pace with inflation in the future. Now, that is not to say there there are not investments within the equities universe whose *underlying business* will grow faster than than inflation. But that is another story. The stock market as a whole will at best match inflation over the next 10 to 20 years is my assumption going forward. Hi Jacob – I am new to your blog, but I extremely happy to find a community of like-minded people. I agree buy and hold is dead. Investors put too much emphasis on recent experience. As a 36 year old investor, most of my investing experience occurred in the late nineties bull market and the second smaller bull market that followed. The late nineties bull market lulled us into the buy and hold mentality. Mutual fund firms happily capitalized on this, authors made millions on books that told you how to set automatic payroll deductions to index funds, and it became accepted wisdom. Buy and hold dominated my entire formative period of investment learning and I naively accepted it. The main flaw in buy and hold is that one does not stop buying when markets become overvalued. Again because of my limited experience in not seeing enough market cycles, I genuinely believed a 17 p/e with a 2% yield and 2.4 p/b for a total market index fund was a reasonable deal. What a joke. With last year’s change in market circumstances, Vanguard now has value index funds paying more than 3.5% yield. I never believed that was possible before because I had never seen it. The key I believe and I hope to be able to put it into practice is to stop buying index funds once they drop below a 3% yield (Because 3% is what I would like my funds to pay me for early retirement.) I think the psychological difficulty will come when I have to stop buying funds for what could be a couple of years at stretch because I genuinely find pleasure in buying funds. Also, as another extreme saver, I really appreciate your idea that compound interest will not help extreme savers get to early retirement. Extreme savers must concentrate on building income-producing assets. I don’t think you can stop preaching that enough. One has to think radical thoughts to get to a radical goal. @Brian – I have/had the same feelings about the ratios. Sure historical P/E values were 10 and good buying opportunities were 5, but I felt I’d be lucky to get 15. In a way I’m glad that the markets plunged. One thing is reading about it. The other thing is seeing it. One of my funds actually change his investment stances based on econometrics/statistics (HSGFX) and he had this plunge fully hedged. I will listen to history from now on. @Super Saver – I think this is exactly the problem the current generation of investors have. The have only seen 1980+ performance, and they though 1980-2000 is normal. Nobody has experience with inflation and trending ranges. I suspect we can be sure, though, that “when a strategy gets popular, profits go to zero”. That seems to be an everlasting truth. There is just a ton of information available about how the vast majority of investors, for whatever reason, do not generate better returns than if they had invested in a diversified group of index funds, periodically rebalancing. The rebalancing provides a degree of disciplined, quantative based timing. Key word, diversified, not just the S&P 500. Seems like the fortunate few who can beat the market are all reading this blog. I enjoy your blog Jacob but if you too are one of those few, what are your results? I commented here before that I think you don’t even track it. How do you know then if it’s worth the effort and risk exposure? The link below to Merriman Funds is the soundest, fact based approach to investing I’ve run across. My 2 cents. @btwb2380 – It is not really surprising that this ton of information exists. Money would naturally flow into the hands of the few who are good at it. There would be a long tail of underperformers, whereas the good money managers would drive the market. I agree that periodic rebalancing [different assets] is better than buy and holding. However, this will only work insofar that that strategy hasn’t gotten as popular as “buy and hold yet”. There are things that suggest that this point is close though. There were no safe places in 2009. I don’t track my performance meticulously (because 1) that would be work 2) Why does it matter when I’m not trying to put it on my resume 3) I wouldn’t learn anything from short term numbers … in 10 years I will know if I’m right with stock picks). I did note though, that compared to the SP500, I did not drop as far from peak to bottom (Mar 2009) AND I’m further up in percentage from bottom to now than the SP500. Honestly, though, I think trying to quantify is a big epistemological mistake because it changes the perception to what can be measured and ignores what can’t be measured. Just consider how risk is considered to be volatility (because that’s easy to calculate) and not chance of loss (because that’s pretty much impossible to calculate). Now that’s just crazy, but yet that’s the way performance is measured. If I optimized for that kind of performance, I might have the a great Sharp ratio, but last year, I likely would have gotten clobbered along with the rest of the market. @ Jacob — if you are going to criticize buy & hold and index investing I think you need to do something more substantive than just a blog post, which IMO does a disservice to your readers. There is an abundant amount of evidence/studies published in peer reviewed journals that thoroughly go over the statistics and outcomes of B&H / indexing. These overwhelming support B&H / indexing for the individual investor. To give a nod to Sagan, you are making an extraordinary claim in light of that evidence and really need to provide extraordinary evidence to back up your ideas. “I agree that periodic rebalancing [different assets] is better than buy and holding.” No serious financial advisor recommends buy and hold without rebalancing. These are not two separate strategies. “There were no safe places in 2009.” People who rebalanced from bonds/cash into stocks did very well. “The main flaw in buy and hold is that one does not stop buying when markets become overvalued.” Rebalancing should prevent buying too much of an overvalued asset. Remember B&H / index investing != buy only S&P 500 index. You typically have a mix of asset classes with B&H and they are usually at different valuation levels. “I think trying to quantify is a big epistemological mistake because it changes the perception to what can be measured and ignores what can’t be measured.” Quantification and measurement is key to science and reproducible results. If you believe the current measure of risk=volatility has problems (which it does) then suggest a better one. Many people (including myself) who followed the traditional strategy of buy & hold, index investing, rebalancing and did very well over the past year, past decade. And this is for one of the worst decades for stocks with two big bear markets. If you look at forums like bogleheads / earlyretirement there are many folks who follow this strategy that are back at their peak net worth or even higher. @Photoguy – There’s really no rational argument here, because investing is not a science even if it is made to appear so by quantifying it (that’s my position). Fact is, everything is based on historical data which is really only a single data point. Science is hypothesis, experiment, verification, repeat and verify. Investing is never like that because the last two steps are missing. What is happening, in a nutshell, is that a particular investing method gets popular and consequentially it is self-reinforcing (we can agree, this is a universal truth). That professors describe this with math (when this presumption is fundamentally wrong) and agree on each others findings doesn’t really mean much. Yes, I realize I take a very fundamentalist position here with tons of opposition. It’s like going against the peer reviewed papers that say that the Earth is the center of the universe. Much of the existing literature operates under the presumption than economics is like physics and that people are like particles. In the previous century this was what people could do. Now, with computers, you can take into account human behavior to a greater extend, hence the emergence of behavioral economics and behavioral finance. Obviously this stuff can’t be put into a simple equation or a simple theory. However, humans can still understand it intuitively. Those who do are good investors. Not everybody are good investors. Anyway … the key point I agree on … index investing is probably the best option for the individual investor — but that’s mainly because most individuals are not investors, rather they are people who spend their savings in the stock market because they expect higher returns. Jacob — thanks for the interesting post and lively discussion. As you probably guessed, I’m going to continue to disagree with you 🙂 . Well I don’t see the difference between investing research and any other behaviorial science. The last two steps you mention, repeat and verify are done in investing research. Academics regularly see if findings in one period apply to other more independent areas such as other countries and time-periods. Of course these studies are never perfect because one cannot achieve complete independence but that doesn’t mean they provide no support. And of course the best test of reproducibility is to see if going forward we can replicate findings in past studies (we just have to do this on a slow time-scale as we wait for new data to come in). This has certainly been a problem of some studies that they treat data from individual years as independent when they are linked. However, I think by now most researchers are well aware of the issue. However, I wouldn’t go so far as to say that investing history can be summed up by one point, my guess (just pulled out of my rear) is that we probably have the equivalent of 1 statistically independent point for 10 years of history. I’m perfectly willing to drop the idea that B&H / index investing are not the best course of action. But I think doing so without seeing objective evidence (or a strong mathematical argument) is not a well-advised strategy. I think if you are a bigger player there are anomalies in the market that you can take advantage of to obtain excess returns (e.g., look at all the interest in high frequency trading). But these are not feasible options for individual investors once you take into account taxes, trading costs, etc. @photoguy says – “I’m perfectly willing to drop the idea that B&H / index investing are not the best course of action. But I think doing so without seeing objective evidence (or a strong mathematical argument) is not a well-advised strategy.” Me too as I referenced the Merriman work as well. 1) Jacob touched on buying without regard to the price. 2) Jacob touched on DCA, which only works in a substantially upward-trending market. 3) There is no accepted definition of “periodic rebalancing”… is that once a year? Twice a year? When the security is overpriced? Never? 4) Confusion with index investing. My own 20-yrs of investing experience compels me to say that buy-and-hold is sub-optimum, just like index investing. Both are safe techniques for people who don’t want to be bothered with analysis and tracking and are happy with “average” results. What if I told you could purchase a Muni bond fund that is currently yielding more than 7%? Seems to me that it is a tax free return well above the inflation rate. And have you seriously looked at dividend growth? There are quite a few dividend payers offering current yields over 3% that have 5 to 10 year (or longer) track records of growing their dividends at a minimum of twice the inflation rate. 1) I quite enjoyed the ERE analogy drawn between the supermarket and the financial fund sector. 2) B&H / indexing. I suspect there is a reason that it’s much harder for one to be convinced that B&H / DCA indexing is unsound from the perspective of investing (which by definition is the expectation of higher comparative returns via either income, appreciation, or both). DCA indexing is an extremely low-cost offering, yes for the investor, but that much more so for the service provider. Conversely, value investing is hard work (in my limited experience). The successful value investors on occasion transmit their wisdom to others, e.g. Graham & Dodd, Graham, Munger, Buffett, Klarman, Dreman, et al. But I don’t believe they really care about being intellectually competitive with a B&H / DCA industry. The DCA industry *enables* the value investing approach, and the aforementioned authors are too busy making lots of money for themselves and their clients to be bothered to defend their ways, possibly even to the point of secret glee that their books are not more widely embraced. Back on the first hand, authors and proponents of B&H / DCA / indexing *do* have a lot to gain by continuing to write books and tout their own ways, because DCA is very easily transmittable and there is a lot to be gained by continuing to harvest the low-hanging fruit of DCA-primed indexing adherents. Thus, I predict that DCA indexing will continue to win the media campaign, while value investing disciples will quietly and happily carry on regardless. In most B&H with rebalancing schemes you have an asset allocation that you want to maintain. With that in place you automatically buy less (and perhaps even sell) the more expensive stocks / asset classes. Actually in an upward trending market DCA is the worst thing you can do and you would be better off putting in all your money in a lump sum at the beginning. DCA works great when there is a lot of variability in the price and spreads the risk of choosing an inopportune time to buy/sell. People who kept DCA’ing over the past crash did great. This is largely because most strategies are relatively insensitive to whether you rebalance 1/year or 2/year etc. This is a good thing. The thing to remember about B&H / index investing is that it’s never going to be the optimum strategy in hindsight. But we don’t have that advantage when investing — we obviously need to make decisions without seeing the pattern of future returns. When making decisions going forward I haven’t seen any evidence that other approaches gives higher *expected returns* for the individual investor.. The ever changing conditions in the economy and the market make it so difficult to beat the market. The strategy that worked last year is unlikely to work next year because of a change in conditions. The problem is that the thinking that lead to last year’s success is likely the same thinking that will get you in trouble next year. While beating the market sounds really good, it is much harder than it sounds. It is especially hard over the long haul, because you have to keep being right over and over as you try to buy in valleys and sell at peaks. The “Intelligent Investor” sheds some interesting insights on this. If beating the market was as simple as it sounds, there would be a lot more investors in the Fortune list of richest people in the world. Investing in specific equities instead of a B&H strategy with index funds requires a whole lot more time. Researching investment opportunities and making investment decisions is something a lot of smart people on Wall Street do every day for a living. When you are playing the same game, you are in direct competition with these people. This sounds like having a dangerous job. Except, when having a job, you don’t run the risk of losing a big chunk of your past paychecks. You only risk future earnings if you lose your job. As many studies have shown, outperforming the market, especially when considering taxes and trading expenses, is an extremely difficult thing to do. Certainly, Warren Buffet made his fortune that way. Unfortunately, he is the exception, not the rule. Most people end up losing some of their investments to those who are smarter and spending entire work days researching the market. Matching the market is hard as it is, never mind beating it. Keeping your investment expenses under control is extremely important. Frequent trading, besides the obvious risk of buying and selling at the wrong times, also increases your investment expenses. If your investment return averages 10% over a long period of time, you would be called an excellent investor. However, if you incur 2% expenses to achieve this return, your return is reduced by 20%. When you also consider taxes and inflation, this stellar performance shrinks to a surprisingly small number of real rate of return. Keeping your expenses low is the most predictable way to keep your ROI as high as possible. @ecm – Any hobby where one puts in effort that adds value to the world has the potential to make money and most likely will. You give the usual argument for why private investors should stay out of the market. However, private investors have some advantages that Wall Street professionals don’t. Professionals fund investors are benchmarket to the market averages on a quarterly basis. If those professionals want to keep their jobs, they have a personal interest in steering close to such markets. On average they are the market. Subtracting their fees their average is below the market. This is why the usual argument is to look at fees. Further, a fund needs to invest hundreds of millions or billions of dollars. If they have to invest 1 billion and have the man power to analyze 100 companies, and they don’t want to own more than 2% of a company so as not to move the price up to much when buying a position, then they must ignore all companies with a market cap under 500 million. Needing to invest billions to make billions and because that’s hard is why you don’t find billionaire investors on the Fortune lists. You would find lots of millionaires though. In summary, because of the way professional investors are handicapped (must invest in large cap, quarterly performance, and are benchmarket by the market), small investors will see outperformance in small cap (which is available), value (not growth) which requires patience, and low beta stocks, which outperform due to a combination of the quarterly and market beating performance requirements. TL;DR: Professional investors have certain handicaps that lead to market inefficiencies which small investors can profit from if they commit the time to understand it. So to repeat, if the private person adds intellectual value to the investment process she can make extra money. It’s no different than how a knitting hobby can add value. However, it is also fair that not everybody is interested in investing. Dabblers should stay out of investing just like they should stay out of flying light airplanes. It requires some commitment to be good. Jacob, those handicaps you speak of are not as prevalent as you suggest nor do they create that much of an inefficiency. If they did, there would already be a fund out there capitalizing on it. Professional investors can and do frequently invest in small cap; with some even delving into microcap territory. There’s really nothing to stop them from doing so. Practically every facet of the market has already been studied, sliced, and diced by institutional investors. So unless you know something they don’t, you’ll most likely lose or break even rather than making any actual returns. Fama and French had already published a paper on this subject. And their findings are rather consistent with the usual argument against retail investors going solo. And while knitting can be a profitable hobby, you don’t risk your assets should you fail at it. So I don’t think it’s an equivalent comparison. @Legosland – By the same arguments, the more people that believe that the market is fully efficient, the easier it is for nonbelievers to find inefficiencies. As in, if the efficient market hypothesis prevents people from looking for $50-bills on the ground “because someone would already have picked it up”, then by the same count the EMH adds to the probability of $50-bills on the ground proportional to the number of people who are no longer looking. Private investors, who are into looking, should look at inefficiencies on the order of $250,000. At that level, nobody is going to hire a full time analyst+overhead to find them. Therefore, they are there. BTW one of the things shown by the Fame and French three factor model is that it pays [alpha] to look into small cap and value stocks. @Jacob – There is an entire industry dedicated to exploiting inefficiencies in the market. Even though Indexing has gained some traction over the past decade, the majority of Wall Street are still seeking alpha. Being a nonbeliever is being part of the majority. And I do agree that the market isn’t fully efficient. If it were, Warren Buffett wouldn’t have a job. But I don’t agree that retail investors should strive to find it. Your time can be better spent on finding more effective ways to make money. I’d be interested to know what kind of inefficiencies you’re finding at the $250k level. I find that level to be more akin to angel investing than trading public stocks. BTW, small caps pay more due to higher risk. It has to pay a risk premium, or nobody would invest in it. By that same token, you can make a fortune on commodities, penny stocks, or blackjack. @Legosland – It seems you’re subscribing to modern portfolio theory, where risk is defined as volatility. However, risk could also be defined as expected loss. By that count, value stocks have lower risk even though they may have higher volatility. This risk is not captured by modern portfolio theory. What you’re looking at is not risk/reward but volatility/return. That’s different. Whether time can be spent better making more money depends on how much money you already have. If you had $500k in 2008 and arranged your portfolio (due to your insight) so you only lost 30% instead of 50%, that effort was worth $100,000. That’s not a trivial sum to make in after-tax job income. Again, this blog is not targeted at middle class professionals which 10% savings rates who can’t tell the difference between a yield and a price and should rightly be in index funds. It’s targeted at people who can direct significant amounts of money (relative to their income) and brainpower towards understanding the market. In summary: retail investors are willing to pay (and thus create) a few inefficiencies in return for average performance and no effort. And some are willing to put in effort to pick up those inefficiencies (and thus remove them). They can both exist symbiotically. Risk is defined by volatility because that’s what risk is. Unless you’re suggesting that flipping a coin is the same as rolling a 6 sided die, MPT’s use of volatility is quite spot on. For the sake of brevity, I’ll leave it at this. I’d much rather avoid the mathematics involved. As for finding better ways of making money, you don’t have to necessarily find a job. For example, you could use that time to research other business ventures. Very, very, very few people made it rich or even well-to-do purely on investments. Most self-made people do so through owning businesses or finding a niche they can fulfill. They do so by selling themselves. They rarely do so through trading futures and crystal balling the market. I find your comment about middle class investors rather condescending. Do you honestly think that people who go into indexing only do so because they fail to understand the market? John Bogle doesn’t advocate indexing because he fails at the market, he does so because he understand it better than everyone else. It’s the same with Warren Buffett, Benjamin Graham, William Bernstein, the list goes on. I don’t understand how there could be a “scaling issue” if your 250k is going into the same company that the pros are investing in. Performance is performance. Unless you’re suggesting that you put all your eggs in one basket. In which case, why bother with stocks. You can get much faster and better rewards by trading commodities or playing cards. In summary: I don’t see anything uniquely different about what you’re advocating, and what people have been failing to do for years. And I find it rather insulting that you think indexers are just “lazy.” So far, you haven’t listed any tangible inefficiency. This sounds more like a marketing ploy for your next great idea on finding alpha. I don’t mean to be aggressive, but at the risk of sounding like a 9 year old, you started it. @Legosland – I’m quite familiar with MPT and its assumptions. Its two weakest assumptions are its definition of volatility as the standard deviation of realized/historical price movement. Its other weakness is its use of correlations without considering whether they’re actually cointegrated. Specifically, its two weaknesses are due the state of statistics of the 1970s. Since then more advanced techniques for understanding risk and distributions have appeared. However, only the old model is taught in economics textbooks. For the rest you have to get grad level books or read journal papers. I’ve listed a few ways that would likely beat the market. You dismiss them because you’ve never heard about them? Really? How are you going to learn anything new then? By contrarian I don’t mean a short market strategy—although that’s the most popular one. It could be many other things. I also think you missed my point about career risk: Pros are still employed exactly because they’re doing average things most of the time. For example, they’ll lock in early gains by following the market for the rest of the year. This causes value companies to be underbought towards the end of the year. At the beginning of the year they shift the money around. This is why there’s a January effect. The scaling issue appears on thinly traded stocks where orders can move the price. In such cases, entering and exiting can only be done on a small scale. I think people go into indexing because they don’t care to understand the market. Buffett suggests indexing for regular people. He has, however, also covered the scaling issue himself saying that if he only managed a $1M portfolio, he could double it annually, 100% returns. So he suggests one thing for himself and the opposite for others. Do you consider that condescending? I’m suggesting the same thing. In any case, no insults intended. I think I already said that people should invest according to how much time and effort they’re interested in spending on learning this stuff. It’s not a question of ability as much as priorities.